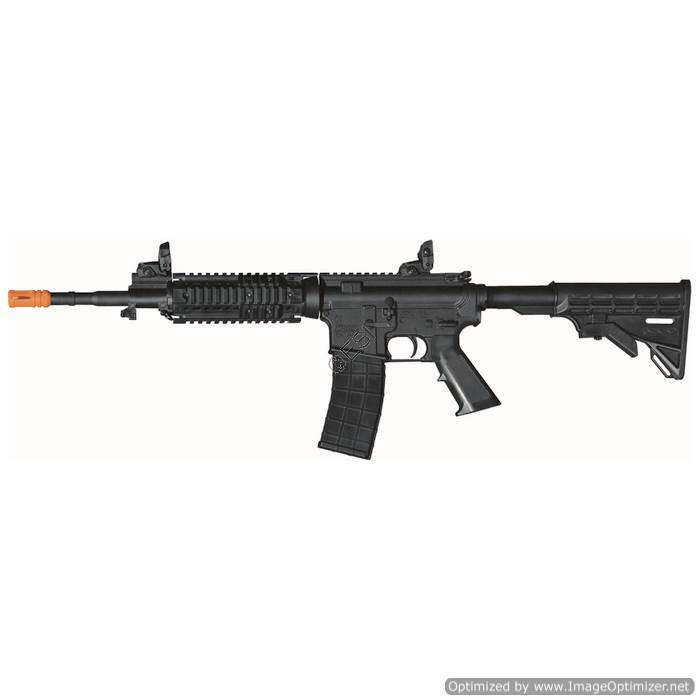 The M4 Carbine is Tippmann's first airsoft gun. 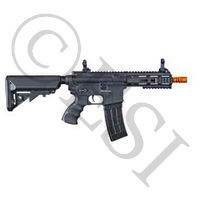 In the past they've distributed other companies products but this is Tippmann gun through and through. 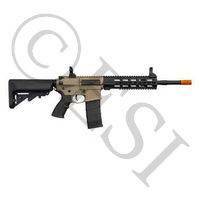 The M4 uses a proven air valve system similar to that of their paintball guns. This means no gear box to deal with and NO BATTERIES. That's right, this full auto M4 does not need batteries. It's powered by a 12 gram CO2 cartridge housed in the magazine area. But the M4 also can be powered remotely with a constant air source. Because the M4 uses an air powered valve you can feel the recoil of the valve as it resets between shots giving you a more realistic experience. 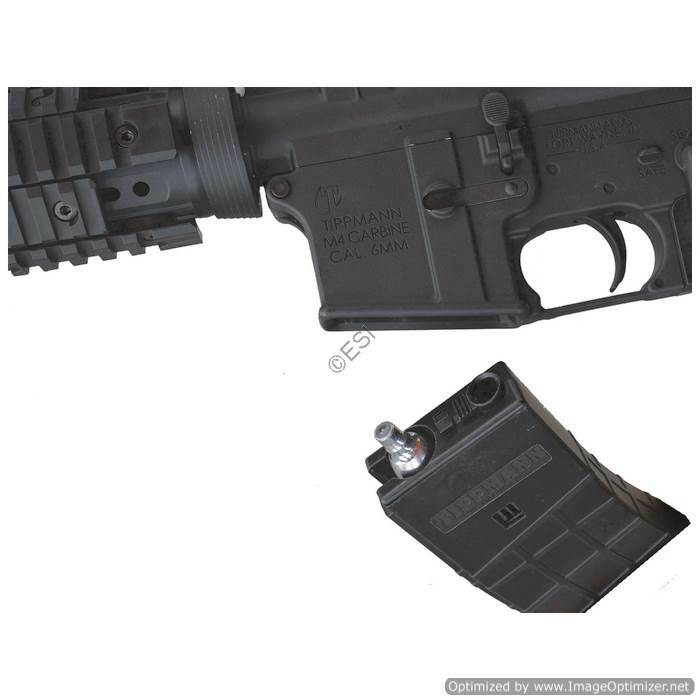 The 12 gram cartridge will shoot the full magazine capacity of 80 rounds. 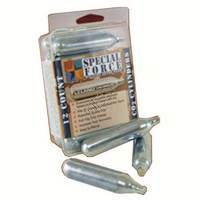 It's compatible with many standard airsoft magazines that come in various capacities. 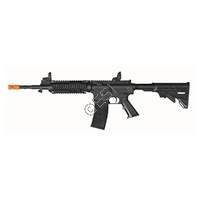 Like a real M4, this Tippmann M4 has a pin release near the back and it then hinges open for service. You can adjust the velocity from 270 to 400fps and the rate of fire can be set between 8 and 20 rounds per second. You can also adjust your hop up and choose between semi or full automatic modes. 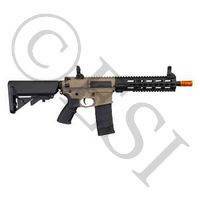 This air soft rifle has a very realistic M4 / AR look. 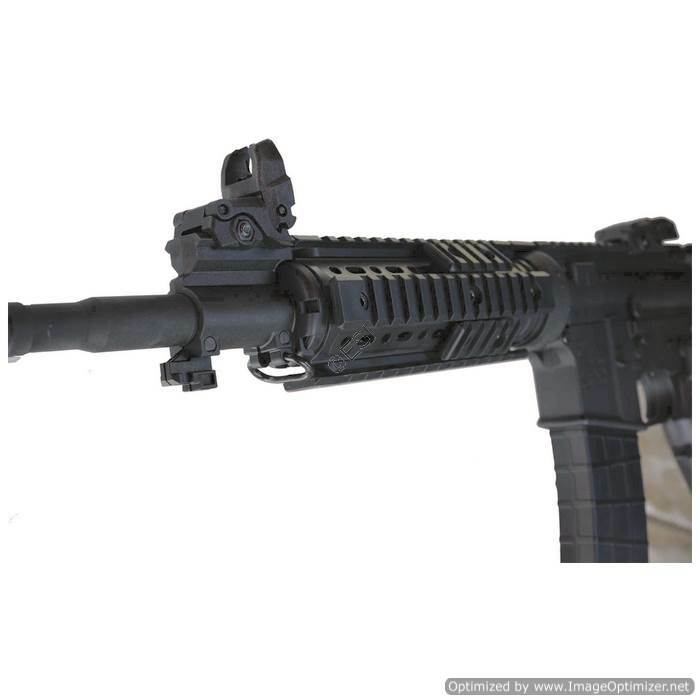 The foregrip has picatinny rails on 8 sides so you can mount all sorts of accessories including many true M4 / AR upgrades. 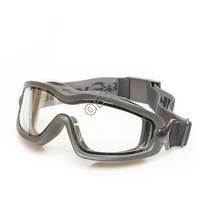 The stock is adjustable and flip to psights come standard. To finish it off you get front and rear sling mounts and a top picatinny full length rail. The receiver is all aluminum giving you a rugged feeling with a nice weight of 5.5lbs (2.5kg). Hey there, this is Clayton from Tippmannparts.com bringing you a first look today at the new Tippmann Airsoft M4 Carbine. So, we'll probably do a more in-depth video later. I just wanted to get a quick one up, kind of a first look like I said of the brand new Tippmann Airsoft Marker. I'll tell you a couple of things about the gun. 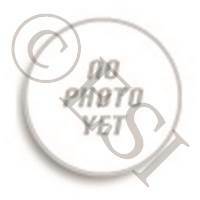 It is C02 or remote line powered. It has adjustable velocity from 300 to 400 fps using a 0.2 gram BB. 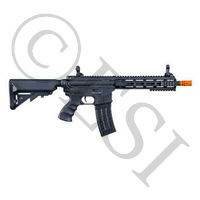 The rate of fire is also adjustable from 8 to 15 rounds per second. It can shoot semi or fully automatic. It is a gas blowback. It features all metal receivers, full adjustable hop-up bucking internally. It's got the flip-up sites. It has no battery in it whatsoever. It's all mechanical and gas powered. It is easy to disassemble. As you could see, it features a ton of Picatinny railing on it. It also accepts many AR stocks and handguards. It works with many AEG magazines when the remote line is being used. It also accepts standard AEG inner barrels. 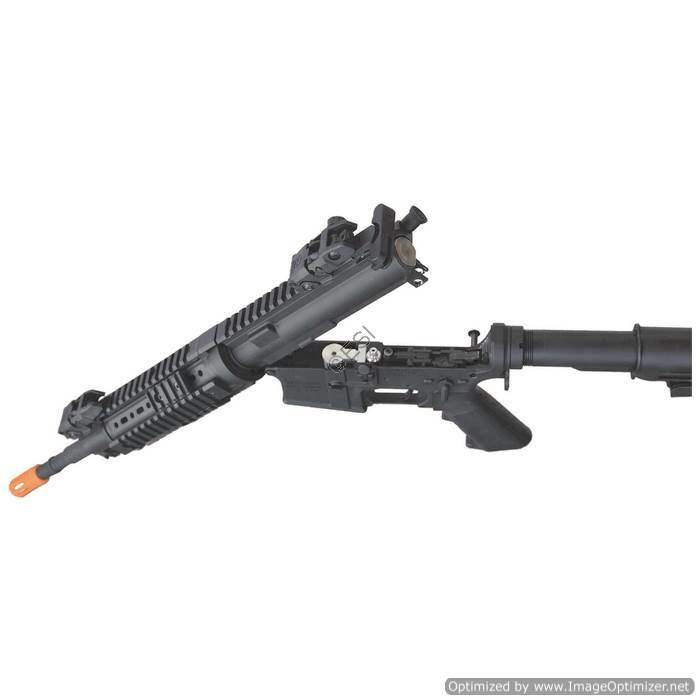 And it features an adjustable 5 position stock. So, that's it for today. Just, again, doing a quick video, get you guys kind of a view of it all. Do a more in-depth video later down the line. 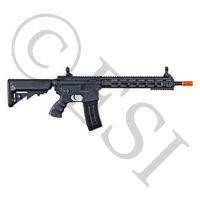 Again, this is the new Tippmann Airsoft M4 Carbine.